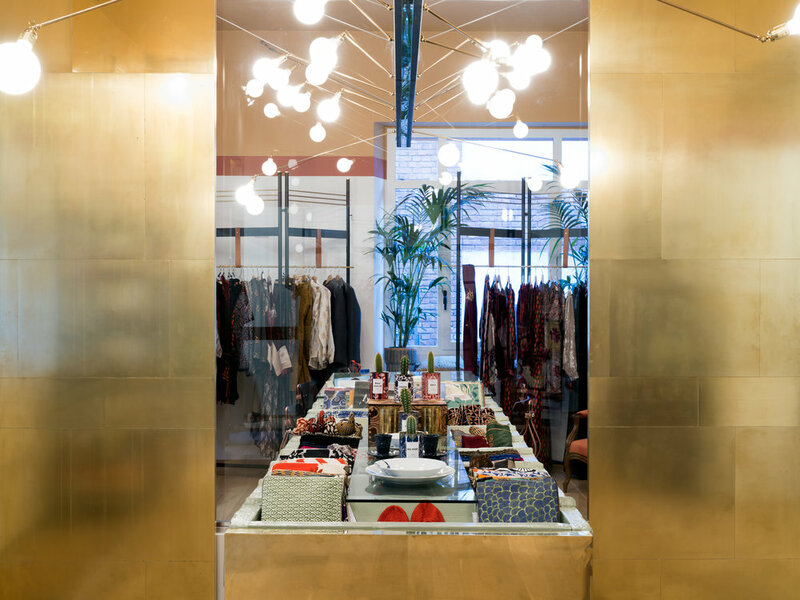 OPALINE has opened recently Its latest Concept Store in Via Savona 19/a, in the Tortona Design District. The Concept Store will be both Shop and Showroom. We are open for Fall/Winter 2018 Sales Campaign now. Please call for appointment. Much research has gone into Developing the initially purely PIJAMA Collection into a Full Collection of Timeless Pieces, Spanning from Flowing Dresses, Kimonos, to Embroidered Shirts and Long Winter Coats. Our aim is to make our client feel at home while finding the perfect pieces. He should feel free to immerse himself in the atmosphere of distant places, surrounded by the beautiful prints and warm colors of Opaline- sipping Chai and browsing the collection. Opaline has also developed a series of Wallpapers, and Furnishing Fabrics- and commissioned handpainted ceramics from a studio in Naples. Other brands have been selected by Ingrun von Keudell to complement Opaline's Concept- brands that merge the traveller's Passion with unusual taste: Very Troubled Child Suitcases, Tableware by Dalwin Designs and Jewellery by Mapi, Cactus by AY CACTUS.